Nugen Audio Ltd appointed Dr. Paul Tapper to the role of Chief Executive Officer. 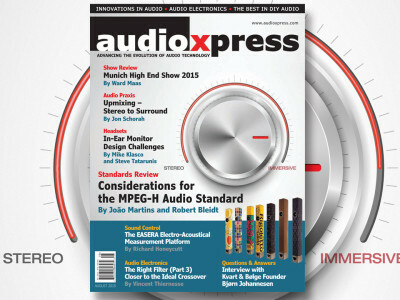 Nugen Audio was co-founded in 2004 by Dr. Paul Tapper and Jon Schorah. 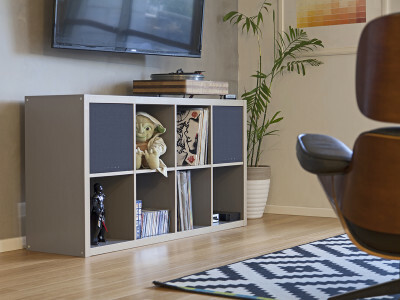 As CEO, Tapper will leverage the company’s recent growth, and provide the vision and leadership needed to take Nugen Audio forward into its next stage of development and expansion. 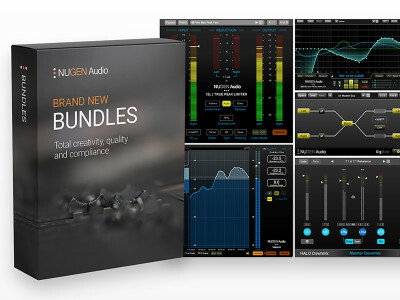 Nugen Audio, developer of modern tools for today’s production environments, has announced the release of six new software bundles specifically designed to deliver its proprietary algorithms in inspiring, workflow enhancing combinations for music and post-production engineers. 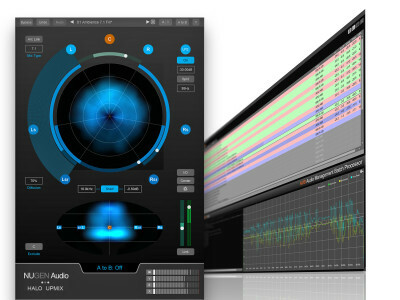 The new bundles now feature the latest generation of software tools for post-production, loudness management, metering, and mixing/mastering. DTS announced the integration of DTS Virtual:X technology in A/V receivers for the first time. 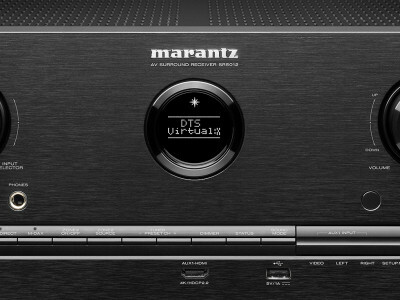 Select Denon and Marantz A/V receivers are now able to receive a firmware update to offer immersive sound in home theaters without the need for height or rear speakers. 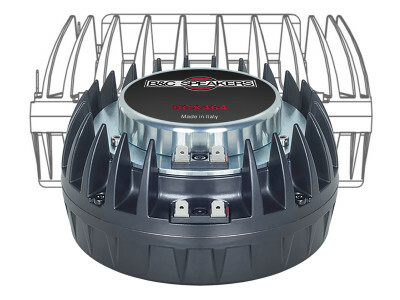 DTS Virtual:X technology in an A/V receiver offers immersive audio - virtual surround and virtual height - from simple soundbars, or traditional stereo and surround configurations (5.1/7.1 channel). NUGEN Audio is showcasing a beta version of its AMB Dolby Module, the latest option for the AMB Audio Management Batch processor modular software, at IBC 2017. 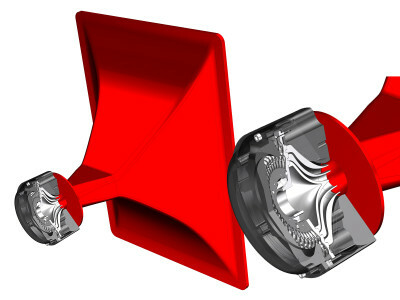 The final version of the AMB Dolby Module is expected to be released in Q4. Also, for the first time at IBC, NUGEN Audio will demonstrate the new Halo 3D Immersive Extension for its award-winning Halo Upmix. This makes it possible to upmix, re-purpose or convert channel-based audio for an Ambisonic workflow. 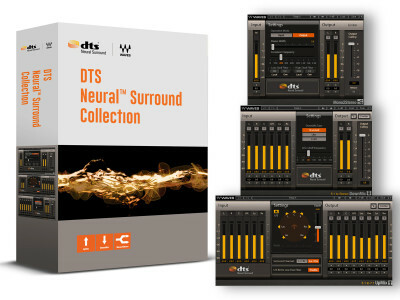 Waves Audio and DTS have collaborated to create the DTS Neural Surround Collection, a bundle including three real-time audio processing plugins – DTS Neural Surround DownMix, DTS Neural Surround UpMix and DTS Neural Mono2Stereo. Together, these plugins provide a discrete-sounding, end-to-end surround delivery system for any live broadcast or post-production situation. 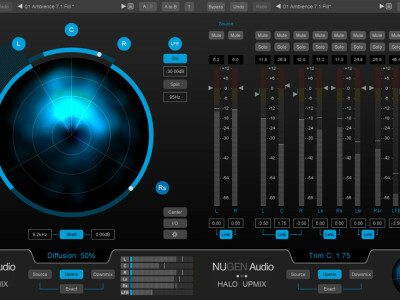 NUGEN Audio unveiled an all-new option for Halo Upmix, the company’s solution for upmixing stereo audio to surround. The 9.1 option allows the introduction of vertical positioning into the upmix, generating a 7.1.2 (Dolby Atmos) bed track-compatible upmix. During the 2016 NAB Show, NUGEN also introduced updates to the company’s batch processing, offline loudness tools, metering and music production tools. 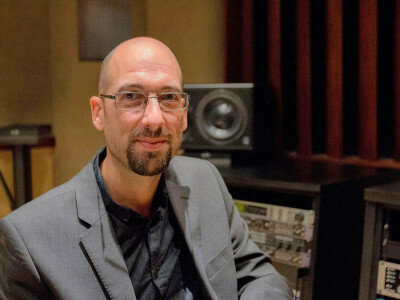 Just in time for the launch of NUGEN Audio’s new Halo Upmix Plug-in, a new upmixer for the post-production market, at the IBC 2015 show in Amsterdam, we are sharing this fascinating article from the company’s Creative Director and Co-Founder Jon Schorah. 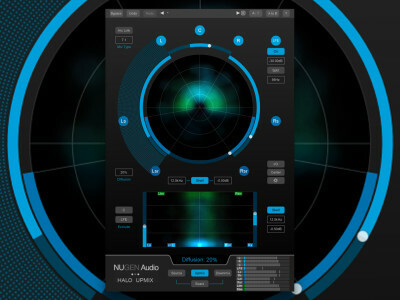 As previewed for the first time one year ago and already anticipated, NUGEN Audio has released its Halo Upmix software for Stereo-to-5.1/7.1 upmixing for film and TV. 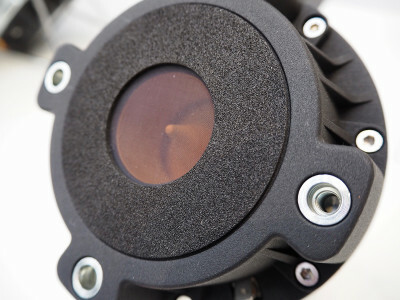 The new solution will be introduced at the 2015 IBC show in Amsterdam and allows precise downmix compatibility for TV surround formats as well as wider creative latitude for film production. 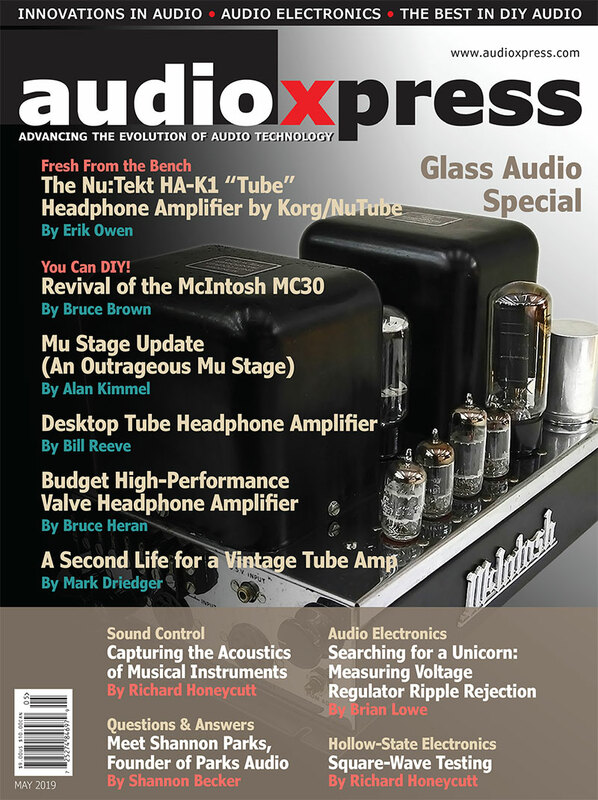 The August 2015 issue of audioXpress is now available and if you are interested in immersive, spatial, or 3-D sound, there are great reasons to dive in. We also have an inspiring interview with Kvart & Bølge founder, Bjørn Johannesen, the author of a quarter wave design published by audioXpress in 2007, now turned into a successful business. 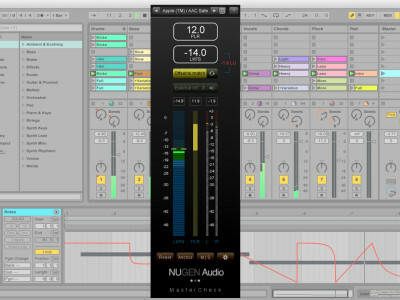 During the 137th AES Convention in Los Angeles, NUGEN Audio is introducing MasterCheck, a loudness tool specifically designed for music production using the new loudness normalization and true-peak limiting techniques that streaming services now require. 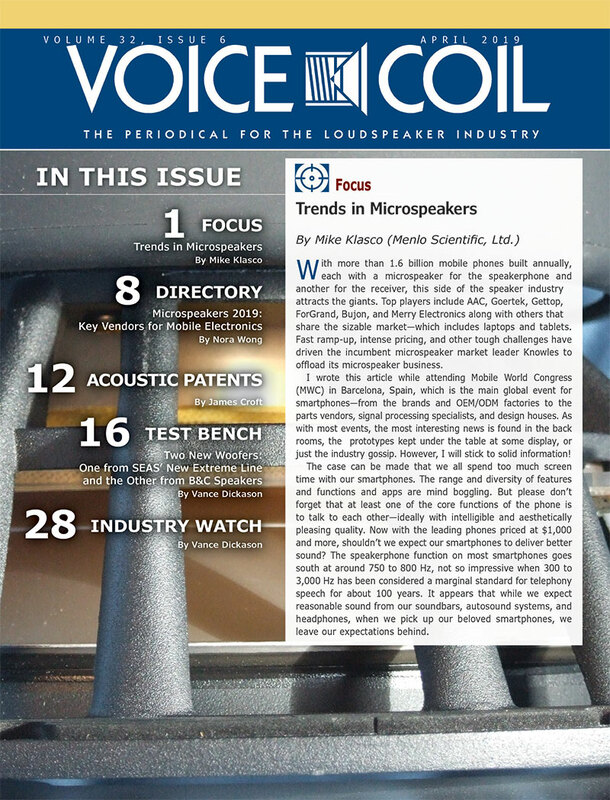 Also featured will be version 2 of Visualizer with many highly-requested user interface features and the latest techniques for comparative audio analysis and usability.